Heart attack survivors who eat chocolate two or more times per week cut their risk of dying from heart disease about threefold compared to those who never touch the stuff. Smaller quantities confer less protection, but are still better than none, according to the study, which appears in the September 2009 issue of the Journal of Internal Medicine. Earlier research had established a strong link between cocoa-based confections and lowered blood pressure or improvement in blood flow. It had also shown that chocolate cuts the rate of heart-related mortality in healthy older men, along with post-menopausal women. And now research published in May of 2010 in the Journal of Cerebral Blood Flow & Metabolism is saying that something in dark chocolate seems to guard against the damage of a stroke. One of the most important actions of magnesium is its vasodilating effects which improves the blood supply to ischaemic areas and reduces infarct size. The Journal of Internal Medicine study is the first to demonstrate that consuming chocolate can help ward off death if one has suffered a heart attack. “It seems that antioxidants in cocoa are a likely candidate” is the best Dr. Imre Janszky of the Karolinska Institute in Stockholm could come up with for explaining the life-saving properties of chocolate. Dr. Martin Lajous, a doctoral candidate at the Harvard School of Public Health admitted that the protective mechanism by which chocolate might prevent stroke isn’t yet clear. Researchers in the stroke study pegged a flavanol in chocolate called epicatechin as the active agent. It is amazing that none of these researchers fingered magnesium as the main agent in chocolate that has these powerful medical effects. Though it is widely accepted that chocolate affects our moods few make the correlation between magnesium and chocolate and thus magnesium and emotions. People often report when eating chocolate that their mood is elevated and they feel better. This elevation in mood is temporary though, and when the effect wears off, subjects again reverted to their previous state of mind. 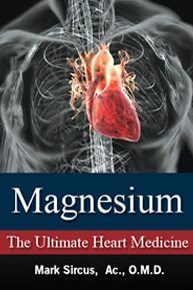 Depression and other emotional disorders of the heart are addressed most directly with magnesium. Most would think that chocolate is not high enough in magnesium to be used medicinally and would be undesirable because of the high sugar and fat component of most chocolates but obviously this is not the case. It’s hard to argue with the information that heart attack survivors who eat chocolate only two times per week can cut their risk of dying from heart disease threefold. Now imagine what we can do if we use concentrated forms of magnesium chloride transdermally, orally and even inject it if a person’s life hangs in the balance either in the ambulance or emergency room. 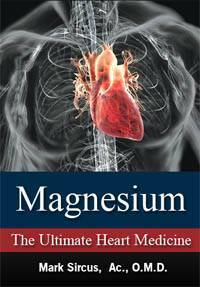 Magnesium is not an option for cardiologists; it’s absolutely necessary for cardiac care. Doctors know how important Oxygen is to life and their heart patients but they keep their heads in the sand refusing to make even the simplest correlations one of which highlights the relationship between magnesium and oxygen carrying capacity of the red blood cells. It is the emergency room intensive care medicine that can be used to great effect during cardiac arrest and stroke. I have dropped the price of Magnesium – The Ultimate Heart Medicine from $44.90 to $29.90 and this is actually a double volume because it contains all of the material from my other magnesium E-book called Magnesium Medicine. The second edition of my Transdermal Magnesium Therapy book, which is going to the publisher next week draws heavily from both of these E-books. Magnesium should be taken for all conditions of the heart except for when the blood pressure is too low or the threat of kidney failure is present. 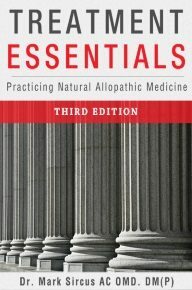 Since there is no drug that can substitute for magnesium it is indicated for the majority of heart patients. Magnesium, particularly in its chloride form, is the definitive medicine for both the prevention and treatment of heart disease. I do not recommend eating chocolate in large quantities for obvious reasons. It is infinitely better to absorb magnesium directly through the skin using magnesium oil or magnesium chloride bath flakes. In the course of three short months of heavy usage one can bring ones cellular magnesium levels back up to normal, something that takes up to a year or more through oral forms of administration. It is a good idea to stock up on magnesium as well as iodine and sodium bicarbonate for many reasons all rolled up into one.